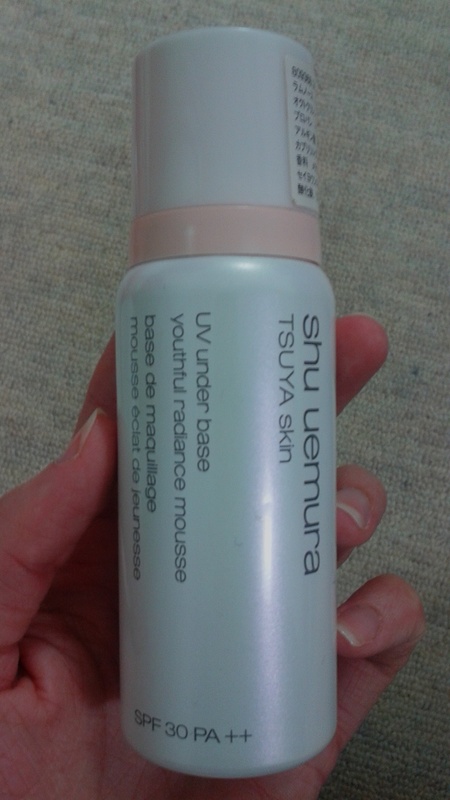 Shu Uemura Tsuya Skin UV under base youthful radiance mousse peach. Whew, now that I’ve gotten that out of way, we can continue. With an SPF 30 and PA ++, it must be acknowledged that there are a myriad of other primers or makeup bases out there that boast more sun protection. But, this does more than just shield your skin from the harmful rays of the sun (I layer this over my La Roche Posay Uvidea XL by the way). The canister is a lovely shiny, pearly white, and is to be vigorously shaken before you dispense an amount “the size of a large cherry” (according to the retail assistant) onto your hand before smoothing it over your face. The mousse itself is light and airy, and a pinky peach colour, and I did have some qualms about how it would look on my face (even though it would be covered by foundation). 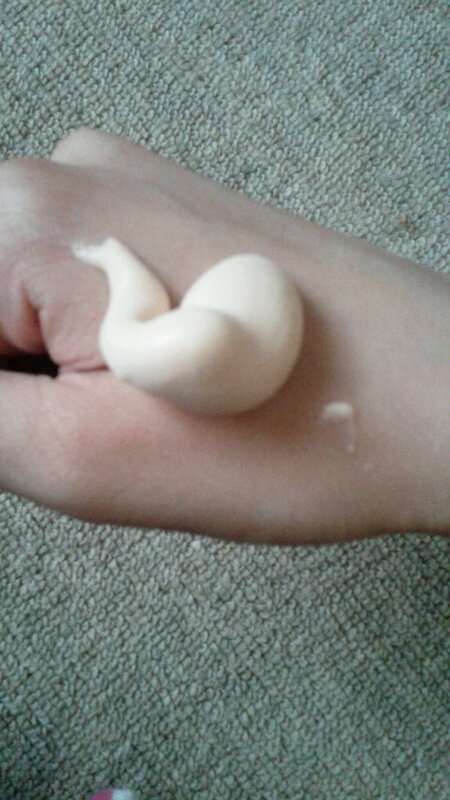 I thought it did leave my face with an odd cast, but a lovely luster, and it did make my foundation look lovely. I also felt that it produced a nice, radiant sheen in photos, and that it made my foundation stay put for longer (although whether that is true or simply wishful thinking I cannot say). The real reason why I love it – though it may come across as extremely trivial to many – is that it smells gorgeous. Heavenly even. Exactly like crème brulée! I have absolutely no problem putting that on my face (and need no other pretext whatsoever). I even sniff my hands every now and then afterwards and drool. I would honestly keep using it for that reason alone. I doubt you can get samples of this one, but if you have time the next time you stop by a Shu counter, why not ask them to try it out on you? You might find it to be something worth getting. Great review! Is it tinted? Hi! Thanks so much for the comment! It’s not tinted, I’m afraid, although it is a pinky peachy colour. I’d say it goes on and melts in when you pat it in and leaves a sheen. 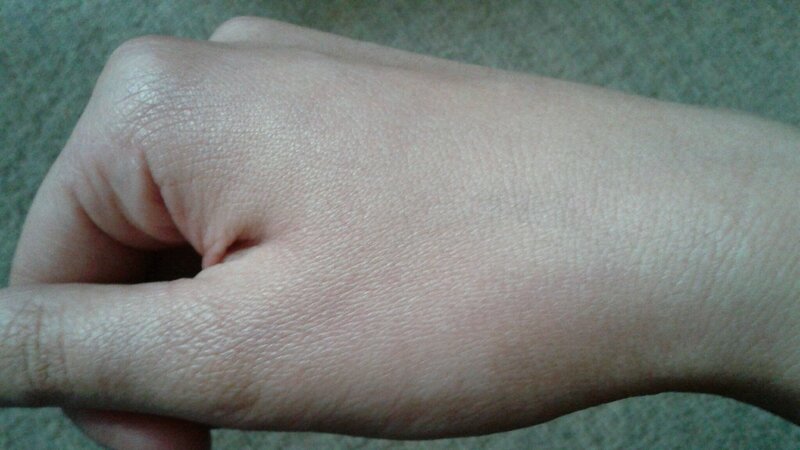 If your skin is very dry it might stick to dry patches a little, but if you moisturise before it should be fine. Shu do have a BB mousse version though, which is tinted. Thanks for the recommendation! I checked it out and liked it a lot 🙂 I’ll definitely stop by your blog again!